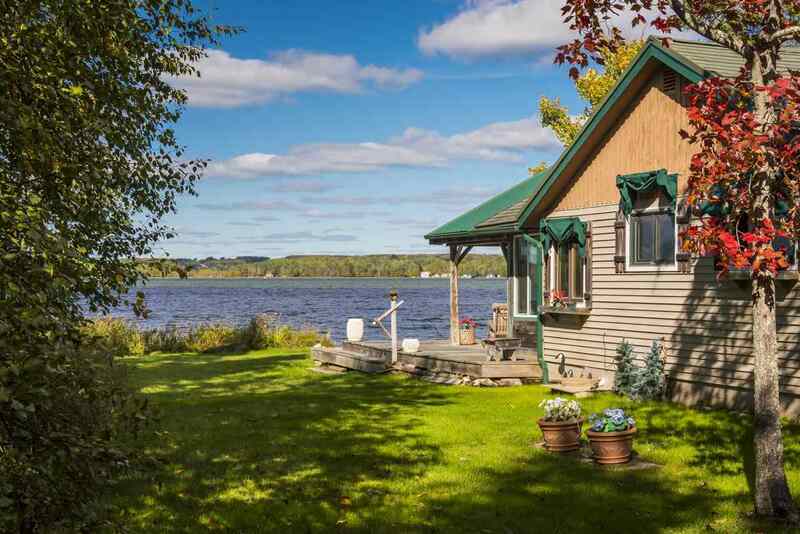 Classic "up north" cabin on Pickerel Lake in a private setting with sandy frontage. Interior has all the charm of days gone by with rustic and warm wood tones. Wonderful sun room and front deck for relaxing at the water's edge. Two garages for boats and toys, fire pit, and extra lakeside deck. Located at end of the road you will enjoy the quiet setting. Numerous updates over the years including newer appliances and dock. Plenty of space in the rear for an addition..
Bath 1 Dimensions: 6'8" X 4'8"
Bdrm 2 Dimensions: 10'4" X 9'5"
Family Rm Dimensions: 19'6" X 9'8"
Kitchen Dimensions: 13'9" X 12'6"
Living Rm Dimensions: 17' X 13'9"
Master Bdrm Dimensions: 10'9" X 10'5"